To enlarge the chart, click to access the image and then click again. 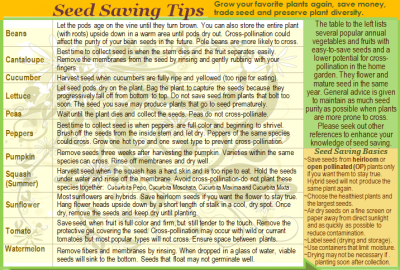 We’re working on a seed saving kit and these tips will come in handy for the beginner. Check back again for more tips as we gather images and techniques. Do you have any tips for the amateur seed saver?